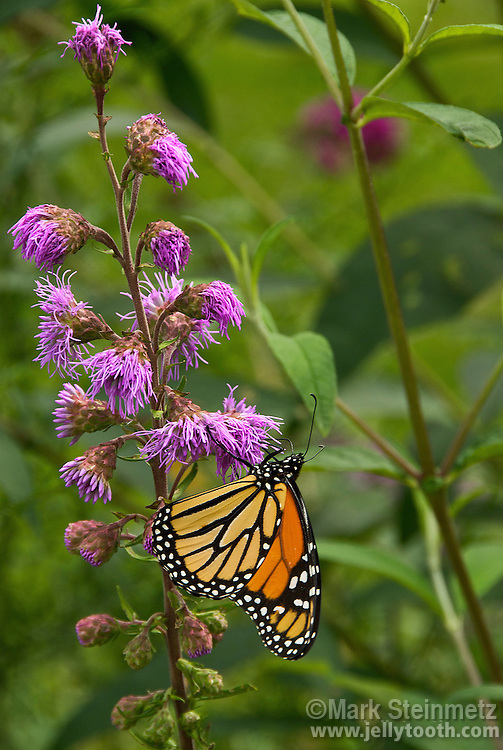 Monarch butterfly on Rough Blazing Star (Liatris aspera). Liatris species are unusual because they flower from the top of the inflorescence down, versus bottom up. Wildflower of the tallgrass prairie native to Eastern North America.